Seventy years ago, the only option you had to buy insurance was to meet in-person with your local agent. Times have changed. Today, technology makes it easier than ever to buy insurance over the phone or on the Internet. When you choose to buy insurance online or over the phone, you give up some significant benefits of choosing a local independent insurance agency. There is somewhere to go for your questions. When you have questions regarding your insurance policies, the last thing you want to do is wait for an answer. Choosing a local insurance agent means you can show up at their office to ask your questions without waiting on hold or being transferred to multiple representatives. Local insurance agencies can help you report a claim, understand your policy, and make changes in a timely fashion because they are there to serve you. Local insurance agents look out for you. When you buy insurance directly from a carrier, you lose out on having someone on your side. Insurance carrier representatives are trained to look out for the best interest of the company, not the customer. Luckily, local independent insurance agents always have the best interests of their customers in mind. That is why they represent more than one company. They know and understand that every customer has different needs and it is their job to find the company that meets those needs. They can solve multiple insurance needs. Buying car insurance online still means you have to buy home insurance somewhere else. Local insurance agencies can solve all of your insurance needs with just one stop. Plenty of local insurance agencies offer home, car, business, life, and other insurance policies. When you call a toll-free number to make changes to your insurance, you probably won’t get the same representative every time. In those cases, they have to review your file and policy to be able to help. Local insurance agencies know their customers. You are not just another number in their system. They keep all of your policy information on hand and can quickly help when the need arises. Relationships are a two-way street. Working with a local insurance agent gives you a chance to establish and build trust over time. Being able to trust your insurance agent makes buying and reviewing insurance a less daunting task. They are there for you when it matters most, at the time of a claim. You can rest assured that if you are involved in an accident or suffer a fire, a local agent can help you put the pieces of your life back together more efficiently and quickly than someone on the end of an 800 number. 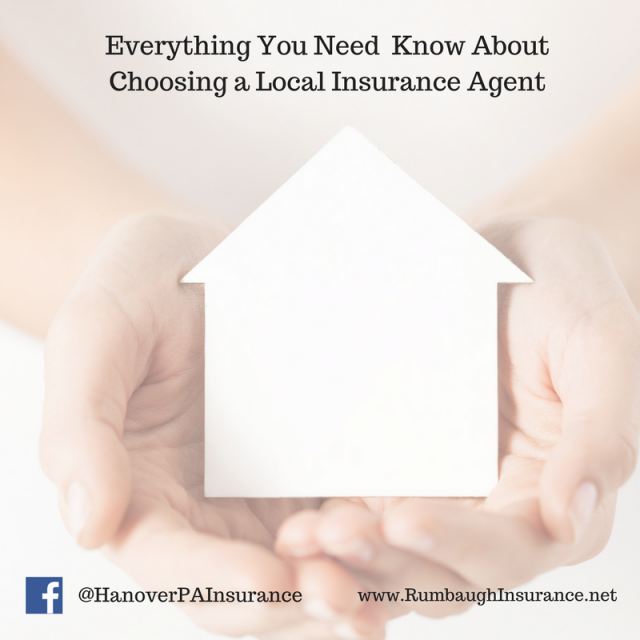 If you are not currently working with a local independent insurance agent, contact the team at Rumbaugh Insurance. Our office is located in Hanover, PA, but we provide insurance in surrounding communities including Gettysburg, Spring Grove, Littlestown, and New Oxford. Are you ready to review your existing insurance? Fill out the form below for a free review!